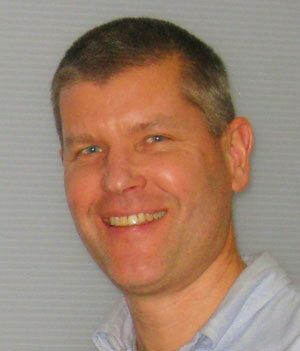 In addition to his involvement in and promotion of various Unidata projects (netCDF and the THREDDS Data Server being the most prominent), Dr. Signell has been active in promoting the use of standardized web services, helping organizations throughout the geoscience community install THREDDS servers configured with NcML that aggregate and make their data Climate and Forecast (CF) metadata compliant. Lately he has been working on standards and standards-based tools for unstructured (e.g. triangular) grids. He has been the USGS representative to the Unidata Users Committee since 2009. The 2014 DeSouza Award will be presented to Dr. Signell during the Unidata Users Committee's Fall meeting (15-16 September 2014). As part of the award ceremony, Dr. Signell will present a talk titled Ocean, Atmosphere & Climate Model Assessment for Everyone that highlights the role of Unidata technologies in the U.S. Integrated Ocean Observing System (US-IOOS). The award ceremony and talk are open to the public and will be held on Monday, September 15, 2014 at 4:00pm MDT in the small seminar room (room 1001) in UCAR's Foothills Laboratory building two (map). A recording of the award ceremony and Dr. Signell's talk is available on the Unidata Seminar Series page.